Lemon balm is an enthusiastic grower, often volunteering in my garden. It's in the mint family and has square stems and opposite leaves. A great way to know if you have lemon balm is to rub a leaf between your fingers and smell it. Lemon balm has a strong lemony scent. 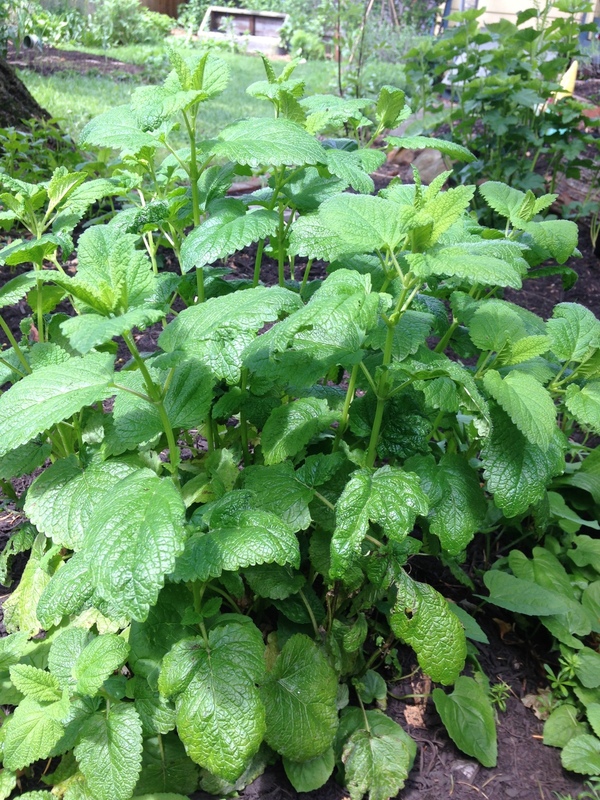 Where to grow it: Lemon balm volunteers all over my yard and I love it! It fills in the empty spaces and I let it grow, as long as I don’t want to plant anything else in that space. Lemon balm does great in the shade or part sun and is often tucked near a larger plant, like under my apricot tree or in the corner next to my back fence. Lemon balm can easily blend into any garden with it’s medium sized green leaves and bushy habit. What to grow it with: Lemon balm looks great with most plants. It isn’t overly showy or much of a show stopper, but it does provide a solid bushy green filler in the garden. Maintenance: Lemon balm needs virtually no maintenance, just harvest the aerial parts as needed for tea and medicine making. If transplanting it, make sure to water it as it is getting established. It will likely pop up around your garden; either let it grow or dig it up and share it with a friend. Medicinal: It's good for colds, during menstruation, and for the gallbladder, liver, gastrointestinal area, and for your heart. It’s also a calming herb, so make yourself a cup of lemon balm tea when you are stressed out or if you know you will need some calm energy later in the day. I like to make a big jar of tea in the morning and sip on it throughout the day, because it's so tasty! This blog post is for educational purposes only. This information is not intended to diagnose, treat, cure, or prevent any disease. I'd love to hear from you! What are your favorite ways to use lemon balm? Where is it growing in your garden? Newer PostHyssop and Hyssop: Which One Should You Grow in Your Garden?